These guys who previously attended are VERY pleased they did. Is it your turn now?! "​I had smoked heavily for 32 years and haven't touched one since the session a few weeks ago. Join International Hypnotist Matt Hale at this highly successful group seminar to help you quit smoking. Matt uses a session that combines relaxation and visualisation that anyone can easily experience. Combining this with anchoring positive feelings to the benefits of non-smoking is extremely powerful. Please only attend if you have a strong desire to personally quit and become a healthy happy non-smoker. 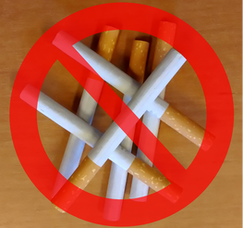 Also think about the 3 main reasons you would like to be a non-smoker. You will leave with an audio program and worknotes to help you remain a non-smoker. Seats are strictly limited so book now at the link below to secure your spot.